One look into those huge, dark eyes and you will fall in love with this black beauty. So beautiful to look at standing still, and when she moves she is absolutely breathtaking! Tail in the air, neck arched, ears pricked forward, she strikes into a trot with such intense power and presence, it's an awesome sight. 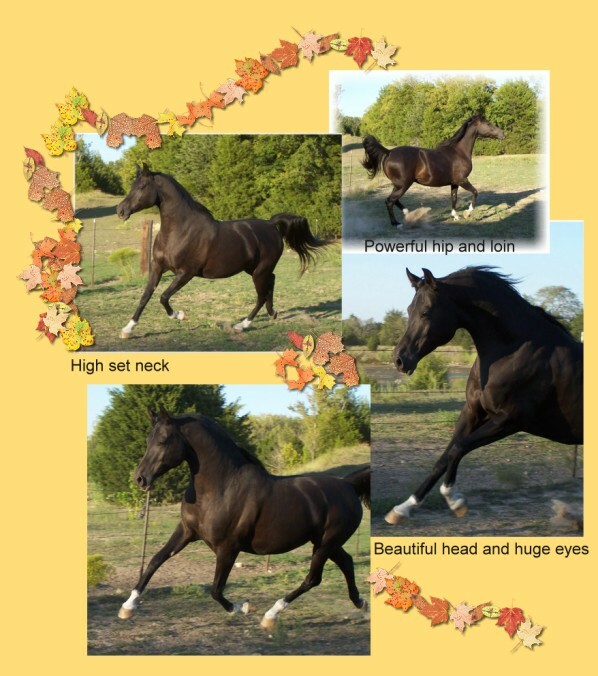 Licorice is tall, a full 16 hands, and is solidly built. Barefoot, she trots over level with lofty suspension. She has a wonderful canter, reaching out in front of her and driving forward from behind. I could go on and on about this mare, as she is, without a doubt, my favorite. Licorice has a loving personality, and is gentle as a lamb. She is double registered HA and NSH, plus she is IABS. 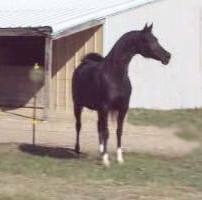 She is for sale at private treaty. Please feel free to contact us for more information, or to schedule a visit.